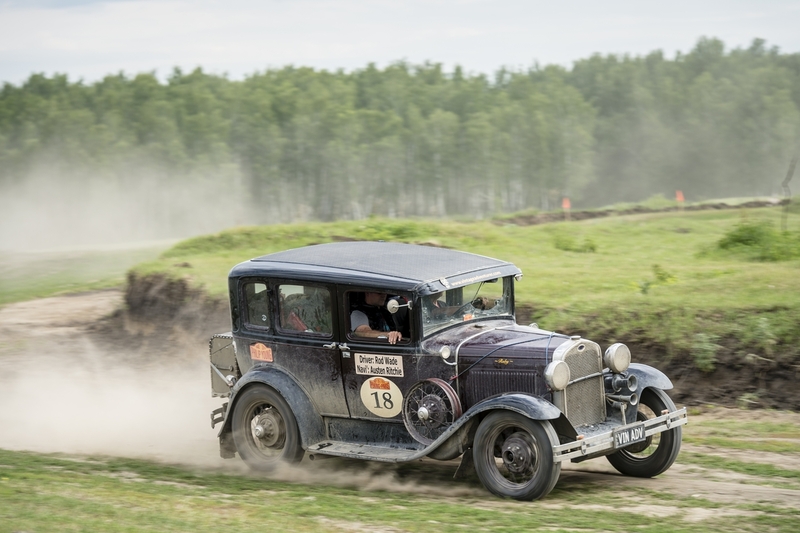 The last lap of yesterday’s test section just outside of Brest, Belarus, spelt drama for the Vintage Adventurer crew. The stress from the previous disastrous wheel off at a racetrack had damaged the key way on the opposite side to the wheel off and went undetected. Rod and Austen had replaced the key in the input shaft working until 3am following the track off. “Yesterday, as we begun our second race lap, as we went to depart the line the axle key on the right hand side sheered off and we were being gentle and not tramping it but it let go anyway,” explains Rod. “For the first time we were on a truck and off to the garage and the real work started. Diff out which is no easy thing for the untrained. The axle where there used to be a key was wrecked so bad a new key would never have stayed in so we fitted the spare axle we had with us. “Six mechanics including ourselves worked until 5.30am to rebuild Ruby. Austen was brilliant and sent me for a couple of hours sleep whilst he worked with the mechanics. These were absolutely a bunch of great guys and the garage owner’s daughter was our interpreter and was sill at it until the small hours of the morning. “We headed for our hotel at 5.30 just in time for breakfast after a shower and then we were off to the border to enter Poland. 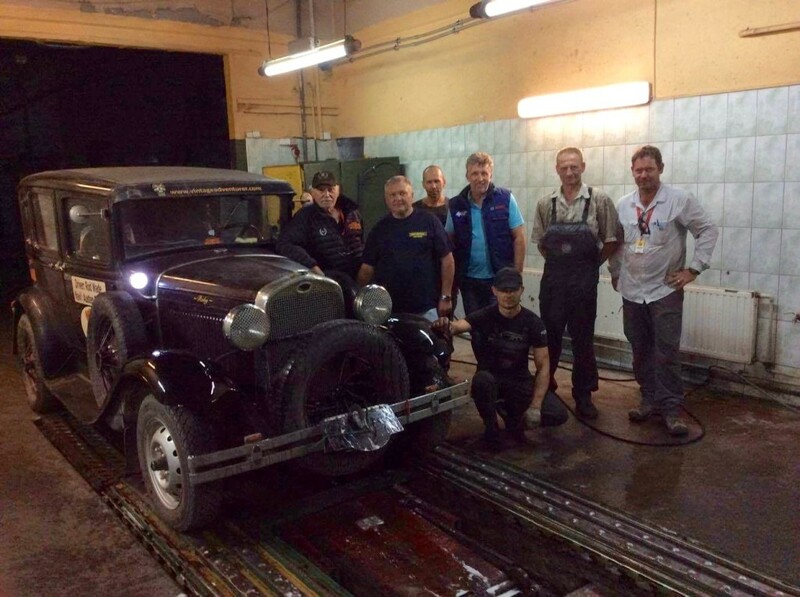 “Ruby is now running perfectly so we are heading for our tyres on our self made racing slicks. Our new tyres are at Budapest some 1000k away and even though there is a rest day there we are at least hoping for a few really good hours of rest and recuperation. “We are now back to 24th or thereabouts…but we WILL make it to Paris even if we have to carry Ruby. “What an adventure this has been thus far, and far from over…3hrs sleep for Austen in two days and five hours for myself is a tough ask but we’re ready for whatever happens today. “Our bed in Rzeszow tonight is over 300k away at the moment where we sit in the line waiting and waiting to be processed so we can cross into Poland.